A new production facility for Remploy’s Household and Toiletries Division. 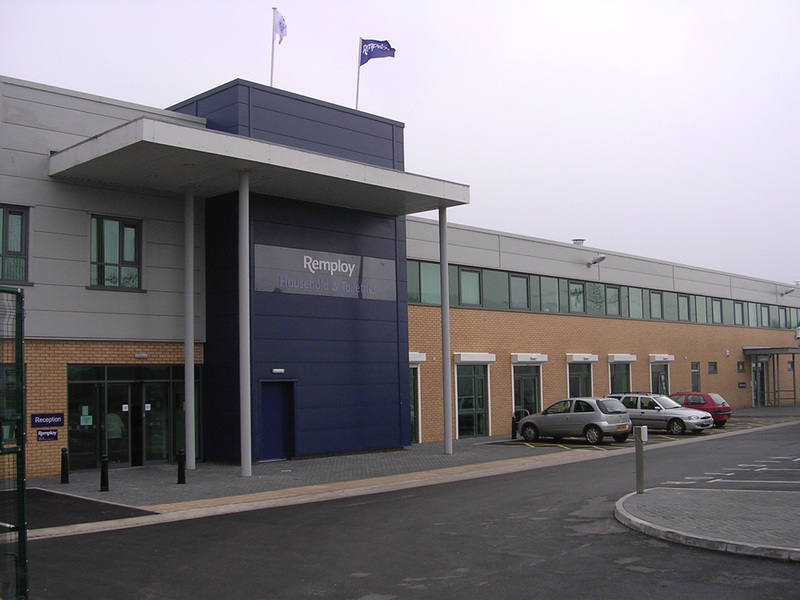 The new factory provided efficient large scale production of Remploy’s own product lines as well as sub contract facilities for other major ‘Blue Chip’ clients such as Palmolive. The factory totals approximately 13,500m2 including bulk storage, production, goods warehousing and administrative offices which in addition incorporate welfare and the National Training Centre.